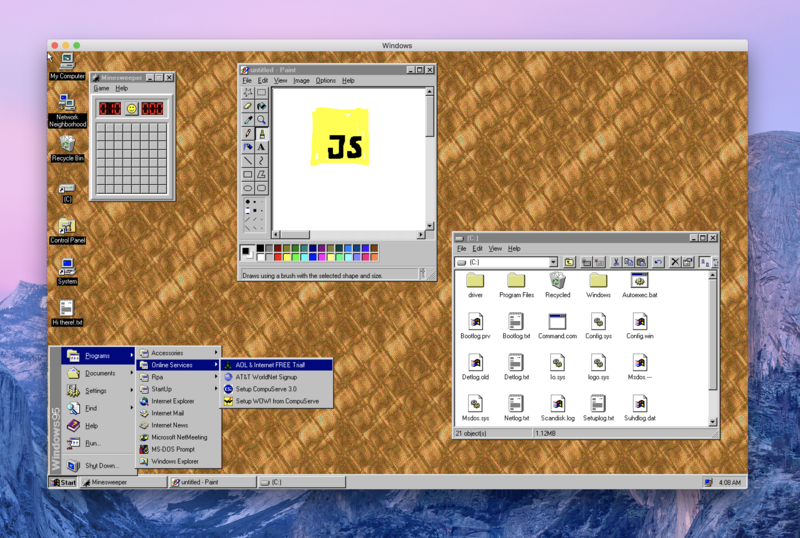 GitHub - felixrieseberg/windows95: 💩🚀 Windows 95 in Electron. Runs on macOS, Linux, and Windows. Want to be notified of new releases in felixrieseberg/windows95? Should this have been a native app? Does it run Doom (or my other favorite game)? You'll likely be better off with an actual virtualization app, but the short answer is yes. Thanks to @DisplacedGamers I can recommend that you switch to a resolution of 640x480 @ 256 colors before starting DOS games - just like in the good ol' days. 99.999% of the work was done over at v86 by Copy. Once you've done so, run npm install and npm start to run your local build. This project is provided for educational purposes only. It is not affiliated with and has not been approved by Microsoft.